Last week the Chairman of Environment Agency suggested that developers should consider building “floating” homes to combat the risk of flooding, The comments from Lord Smith of Finsbury come after the agency was criticised for its response to the flooding on the Somerset Levels. They are also apparently at odds with the views of the Environment Secretary, who said last month that building on flood plains was “obviously idiotic” and should not happen. Building floating homes are not the only solution to building on flood plains. 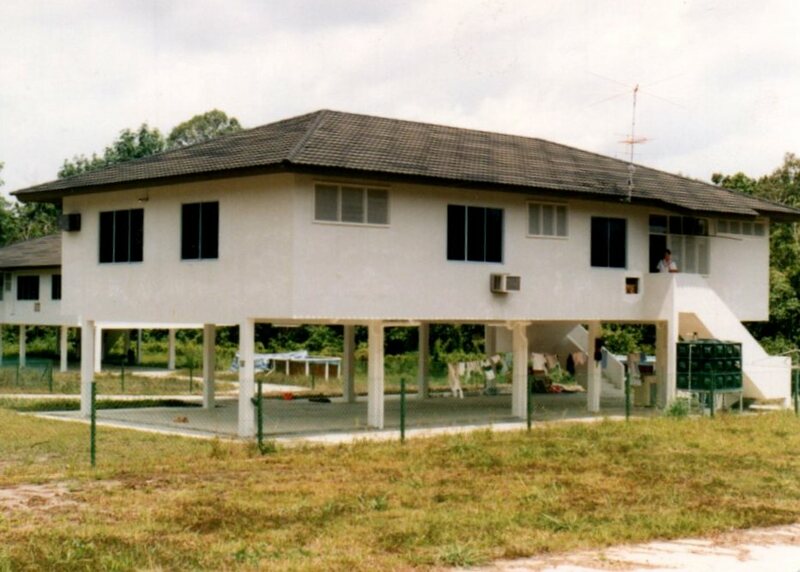 The photograph from my archives shows our house in Brunei. The car was parked underneath the house and we also used the space to host Irish Country Dancing evenings. houses raised one floor is such a simple, good way to build on flood plains. in fact it seems the most sensible answer.